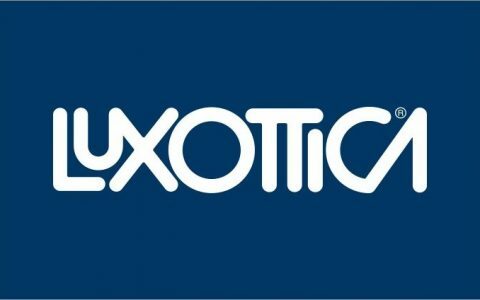 Luxottica ANZ is a wholly owned subsidiary of the Luxottica Group based in Milan, the largest manufacturer and distributor of eyewear in the world. Luxottica in ANZ is more easily recognised by their retail outlets and brands. OPSM, Sunglass Hut and Laubman and Pank have 600 stores selling the world’s most recognisable glasses including Chanel, Oakley and Rayban. With rapid growth, President Chris Beer was enjoying a strong reputation as a leader of a successful business. The onset of the GFC, followed shortly thereafter by the entry of a strong low cost competitor, shook things up considerably. With retailers converging on the low price, high volume model, Chris and his leadership team decided to capitalise on their strengths – eye care, fashion and service. Chris had the advantage of coming to TAP with a strong business, and many of the fundamentals were in place when we embarked together on a wholesale transformation of the organization. Luxottica and TAP engaged in a comprehensive process to transform the business toward a shared a purpose for excellence in the customer experience. Initially, TAP engaged with the top 30 leaders in a fast track diagnosis to determine where the organization was misaligned with its purpose. The first major challenge faced by the senior leaders was the transformation of the retail network, which involved a reinvestment in the core brands and a closure of 20% of their non-core retail footprint. In a retail environment where short term sales and profit were paramount, Chris and the team took a long term view of the market and their commitment to customers and staff. The Leadership Team embarked on a 30-day roadshow to engage the whole organisation in the journey of transformation. 6000 staff in 25 cities and towns were engaged in a face to face dialogue. Chris and the team produced an engaging story of the proposed transformation using metaphors and animation, which made the potentially complex strategy accessible to all staff. Leaders were able to persuasively demonstrate the case for increasing investment in the ‘super brands’. Over 500 jobs were affected, but 99% of people accepted roles in other OPSM and Laubman and Pank Stores. A project that was aggressively planned to take 2 years, was largely complete in nine months. During that time of substantial disruption, employee engagement increased! Underpinning all of the strategy work was a very disciplined and comprehensive leadership transformation agenda, focused on increasing the effectiveness of the top four levels of leadership. It involved measuring the impact of each leader against their aspirations, then using Dr. Peter Fuda’s seven metaphors to bridge the gap between intention and reality. The commitment and enthusiasm with which all leaders embraced this journey enabled a series of extraordinary commercial outcomes. Third party measurement of leadership effectiveness shows dramatic improvement across all leadership levels, starting with Chris. Despite an environment of constant and dramatic change, employee engagement has increased from a very satisfactory 78% to an outstanding 84%. Customer Engagement has increased by 20 points in 12 months and is still growing. Like for like sales have grown for 28 consecutive months. Shared services costs as a percentage of sales have substantially reduced. Profitability has increased. Amazingly, all of these results have been produced against the backdrop of the worst retail environment for decades. “Since contracting with TAP, our business has experienced an extraordinary transformation. Despite the worst retail environment for decades, we have achieved growth in like for like sales for 28 consecutive months. Our profit has increased, along with our scores for customer engagement and employee commitment. Not only do we have a leadership group that is measurably more effective, but we now have the capability to constantly shape and transform our business in the future. Our outcomes have been so pervasive, that our global corporation is exporting many of our practices around the world. Personally, the journey has been a revelation. I’ve never been more purposeful, happier or more productive in my work. TAP is not a “sheep dip” consultancy, but a true business partner and advisor. They have customized every aspect of our transformation journey, adapting and shaping their approach based on our specific business needs at any given moment. The end result has not only been some amazing outcomes, achieved extremely quickly, but a truly enriching experience for all concerned.